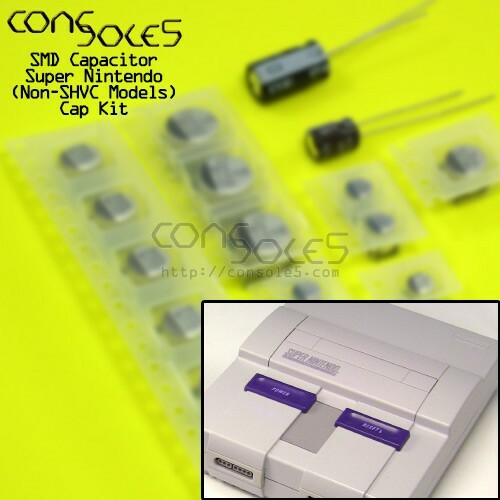 SMD Cap kit for non-SHVC model Super Nintendo consoles. 1000uf / 25v leaded cap found in Super Famicom hardware. While not required, adding these caps can improve performance with 3rd party power supplies or OEM supplies with many hours of use, as well as help to reduce the faint vertical line visible in some TV / monitor setups. 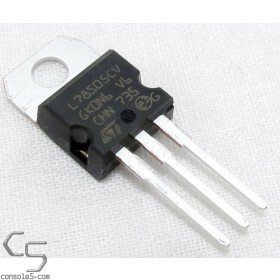 If you are using an authentic Nintendo SNS-002 power transformer there is one additional 3300uF or 4700uF capacitor necessary for a full recap. For capacitor lists and maps, please see our SNES Wiki page.